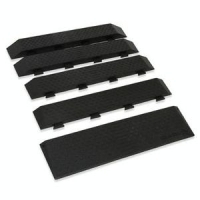 This exceptional design allows you to add or remove rise to your ramp. Available in 1", 1.5", 2", 2.5" and 3" rises or buy the 3" rise and get all sizes. Can be trimmed or notched for a custom fit.